Deacon (red) in his first match of the tournament. Andrew getting some last second instruction before stepping onto the mat. 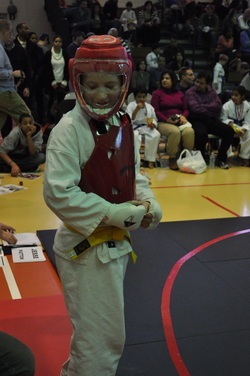 Jesse (red) in his first round match against a junior black belt!